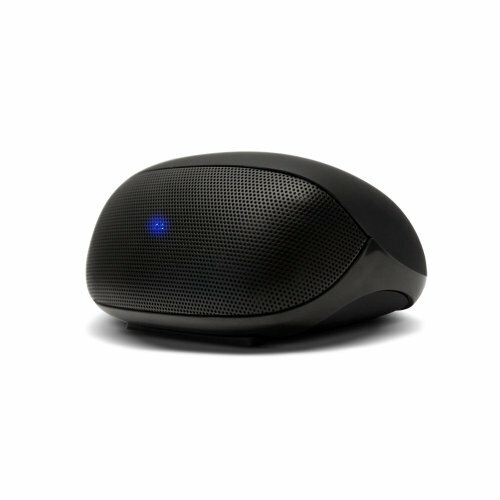 AT&T LoudSpeak'r Portable Bluetooth Speaker - Black (BTS01) by AT&T at DJ Luu. MPN: BTS01. Hurry! Limited time offer. Offer valid only while supplies last. Speaker: LoudSpeakr's ProTune Speaker System with DeepBass technology brings serious power to this portable speaker from the moment you press play. Speaker: LoudSpeakr's ProTune Speaker System with DeepBass technology brings serious power to this portable speaker from the moment you press play. With its dual acoustic drivers and passive subwoofer you'll not only hear your music, movies and games, you'll feel them. So whether you're kicking back at the beach, catching up on some gaming, or working hard at the office, your audio will always sound the way it should. amazing. Bluetooth and Speakerphone: LoudSpeakr's integrated Bluetooth 2.1 + EDR technology offers flawless wireless connectivity up to 30 feet with amazing stereo quality sound. The speakerphone functionality and echo cancelling microphone allow you to take crystal clear calls seamlessly. Your music automatically pauses when the call comes in and resumes where you left off when you hang up. Ease of use: Connecting has never been so simple. The natural voice prompts will welcome you with a "Hello", and walk you through the pairing process with step by step voice notifications. Once you connect your device for the first time, LoudSpeak'r will remember your paired settings and will automatically reconnect to the same device the next time they are in range. The six physical buttons at the top of the speaker give you easy access and full control over your music and calls. You can play/pause your music, skip/rewind tracks, answer calls, and control volume with one touch simplicity. Portability and Compatibility: Listen to more than 5 hours of your favorite jams on a single charge of the rechargeable extended battery. LoudSpeak'r works wirelessly with all compatible A2DP Bluetooth devices. You can also connect non-Bluetooth media devices through the standard 3.5mm auxiliary input. The combination of its compact size, extended battery life and superb sound quality makes the LoudSpeak'r the perfect portable speaker. for anywhere and everywhere.